The Summit Backpack combines advanced manufacturing techniques and the highest performance materials available. The Summit Backpack has been designed and extensively tested to give your dog the most ergonomic and comfortable fit possible. It is built for comfort, function and fun while incorporating the Award-Winning Chest Plate Harness design to insure control. 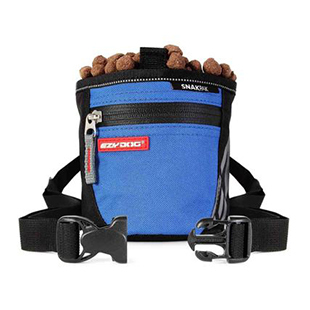 Great for off trail and a "must have" for helpful service dogs. Add a Small Custom Side Badge! 1 set will attach with Velcro to each side of the pack. The Summit Dog Backpack incorporates our award-winning Chest Plate Harness which forms to your dog’s chest for a secure and custom fit. The breathable mesh conforms to your pup’s back and features a built-in padded carry handle for quick control. Attach a leash to the D-ring in the rear or front to walk your dog. The main compartments feature waterproof zippers, coated Ripstop material and reflective trim. Customize your pack with a Small Pre-printed Convert Harness Badge or a Small Custom Badge! 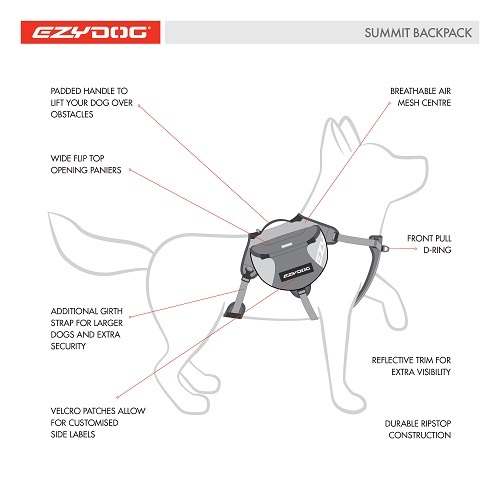 The EzyDog Summit Dog Backpack is built for comfort, function and fun! Sizes S-L, so we have you covered whether you're looking for a large dog backpack or a small dog backpack. Don't forget to pair our amazing dog backpacks with an awesome pick-up bag for urban areas and an EzyDog dog leash! When you hit the trail with your dog, let him proudly tote his backpack It is important to stay hydrated and have extra food reserves or a small medical kit just in case you need it. Your dog will be more than happy to carry a some of the load off your shoulders as you both go along your journey. When stopping or resting, the vest can be quickly released from the leash or fully removed to give him a much needed rest. Built on our extra sturdy dog harness, your pup will have no problems navigating tough terrain. The built-in grab handle allows you to give him a leg up in tight spots. This dog backpack is also designed to keep your dog warm on chilly nights and breathable during the heat of the day! 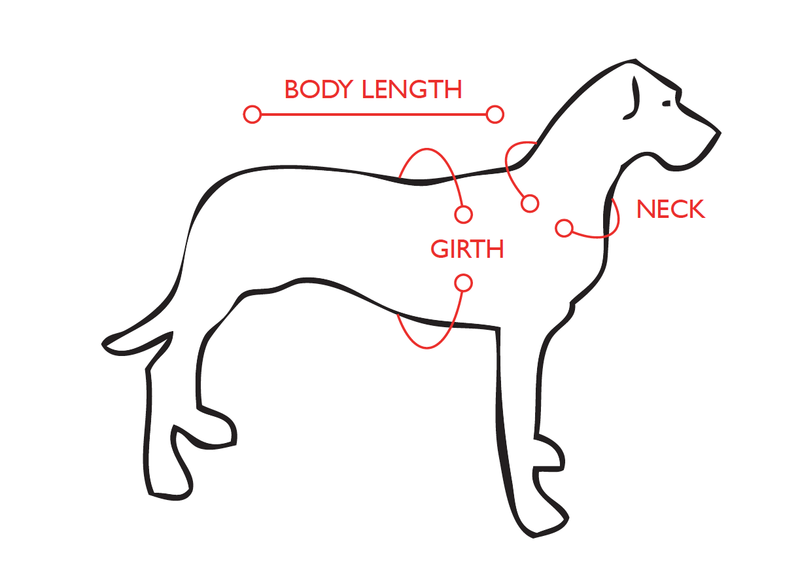 For best fit, measure the girth of the dog. Girth will take priority when selecting a size. The girth being the area behind the front legs and around the body. Fitted correctly, the harness should be snug on the dog and not too tight. I bought the back-pack for my high energy pup. 1 1/2 hr walks didn't even phase her, and she bounded after every squirrel in sight. I've starting using the backpack with small weight to start, and it definitely makes a difference. She seems to know she now has a 'purpose'. Can't wait for the red color for my other dog. I have a 6 month old husky, so a lot of energy and always on the go. Was having a hard time getting him into the idea of a collar and lead. Once a put the EzyDog Summit Back Pack on him, well he turned into a working dog. By that I at all times he's a pup and ready to play, the moment the back pack goes on he changes. He sits and waits for the lead to be attached and waits for comands to start on his way for our walk. During the walk he stays right at the side of me and you can just tell he is proud and feels like he is doing what he was meant to do. Best thing I have ever bought a pup of mine, EVER. 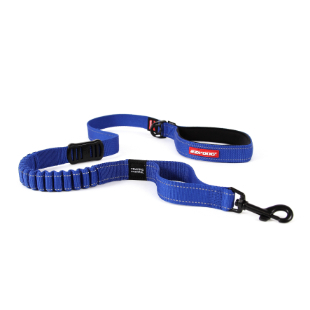 Also- some reviews on here and other sites state that this pack's straps slip - simply put it on your dog, fit it appropriately, take it off, and stitch the straps together. Easy, simple solution! This issue has not been reported in the past and we are unable to replicate the noise you are hearing in the buckles. Thank you for your review - we are glad you like some other features of the Summit Backpack! I bought this pack for my schnauzer, terrier mix...he is 20 lbs but long. I was a bit worried but when we received it I tried it on and it was perfect. We use it if we go for outings he carries his bowl and a few snacks in his pockets. stays centered, doesn't slide to one side. He just is learning he's a bit wider when he has it on! Great bag,for hiking or I recommend even for a person with a service dog. Recently purchased an EsyDog pack for Heidi (Terrier mix ~ 20-22 lbs). We do quite a lot of walking and hiking and I needed something to to help her use up some energy. This pack is great! Well made and fits perfectly. Most packs I checked out didn't seem like they would fit a small dog well. I have very pleased with all the EzyDog products I have purchased. Tahnk you and keep up the good work. I just got one of these packs a couple of weeks ago, Bocephus didn't like it at first but after a few hikes he loves it. He can carry all of his stuff and mine now, its great for strength training for dock dogs. As always we get lots of comments on how good our EZYDOG gear looks, and how well it performs Thanks again. I have a large number of dogs and have tried a vast variety of packs. This is simply the best one on the market. It is comfortable for the dog, easy to put on and very robust. It will not slip off to one side - my main gripe with others. Ignore reviews that say is falls off. The owner just hasn't put it on their dog properly! It's excellent.